The volunteer mission improved the lives of both the patients and their vision specialists. This February, Dr. Carl Sakovits ’88 had a once-a-year treat: honey from one of his patients, Rudy, who has been receiving eye care for the past five years from during annual missions organized by Volunteer Optometric Services to Humanity (VOSH). Rudy initially saw the VOSH optometrists because he sustained a blinding, penetrating injury to his left eye. This year, he had pain and decreased vision in his uninjured right eye. “I confirmed my suspicion that he was at risk of losing the sight in his remaining good eye from a condition called sympathetic ophthalmia,” says Dr. Sakovits, who spent days calling contacts and connections to get Rudy seen by one of the top ophthalmologists in Panama City. In the end, his patient’s sight was saved—and Dr. Sakovits’ belief in the necessity of VOSH’s work was strengthened. VOSH launched in 1971. Its mission is to provide quality eye care to people worldwide. SUNY Optometry joined the organization in 1987. 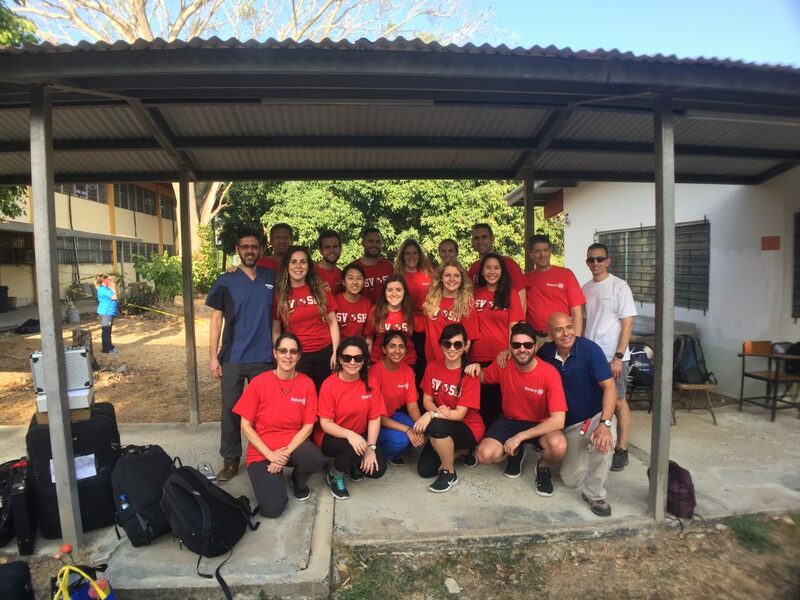 Northeast VOSH currently provides care to the needy in Central America and introduces young professionals to volunteerism. He says the Panamanian government has been cooperative and the organization has the support the Dorado Rotary Club of Panama City.